"Serotonin syndrome occurs when one takes medications that cause high levels of the chemical "serotonin" to accumulate in the body." This can also occur when one increases the dose of a drug or adds a new drug to the regimen. Serotonin is a chemical produced by the body that's needed for the nerve cells and the brain to function. But, too much serotonin can cause symptoms that range from mild shivering and diarrhoea to severe fever, seizures and muscle rigidity. 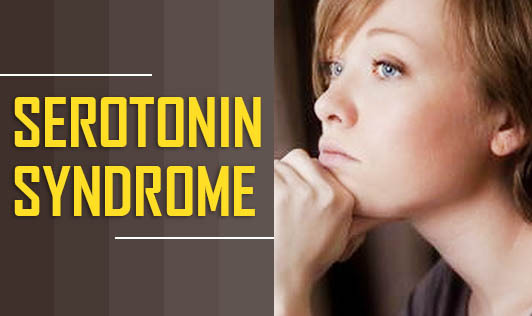 If you suspect you might have serotonin syndrome, contact your doctor immediately!